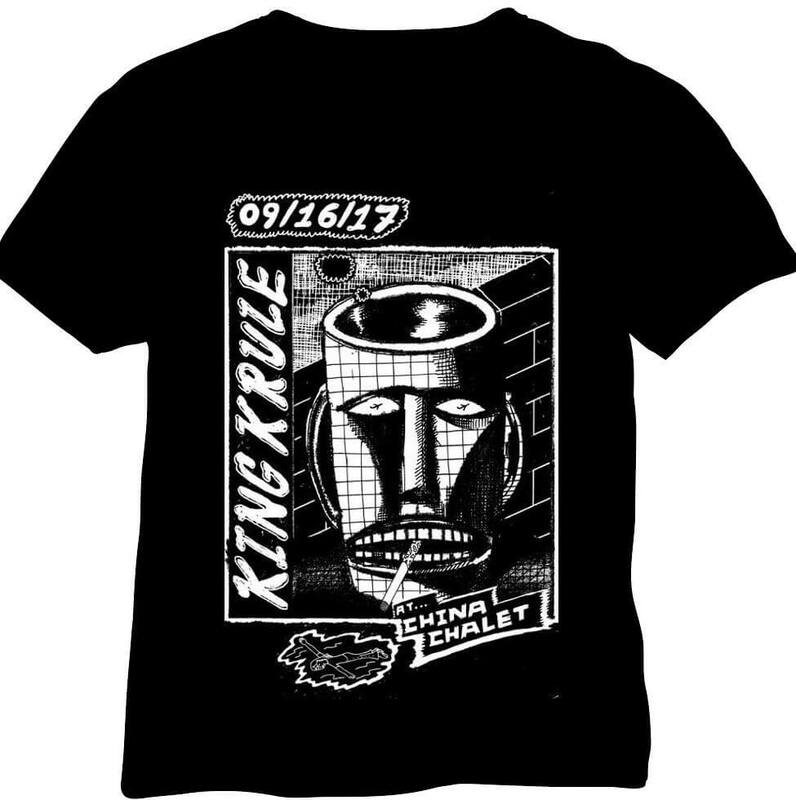 We had a few of the King Krule live at China Chalet shirts left over. Once these are gone they’re gone. 100% cotton, white ink silkscreen on black tee.